Working for a good cause has never been so FUN! 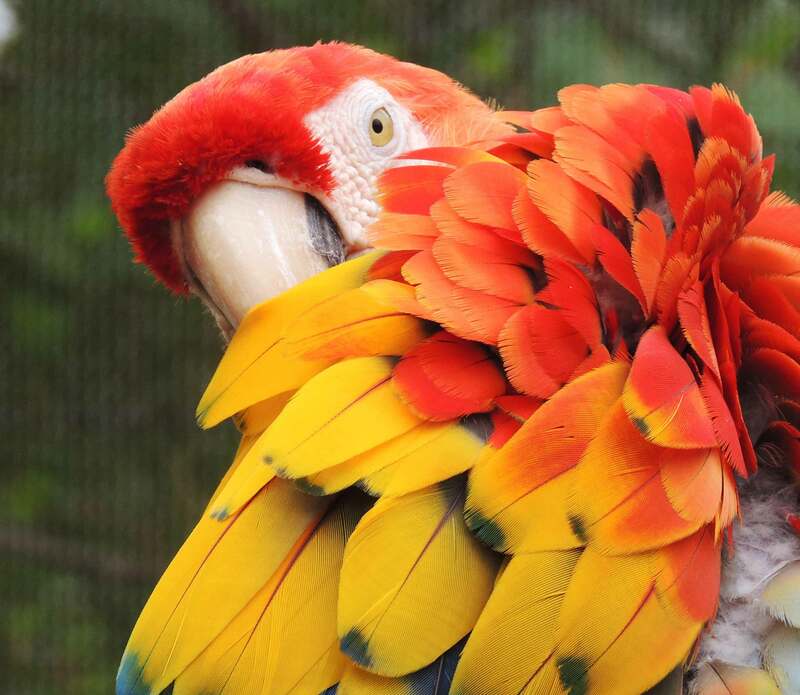 This charitable organization absolutely depends on like-minded volunteers who love animals—especially tropical birds—and want to help with the rescue and rehabilitation of those at risk, as well as the all-around operations of a growing aviary sanctuary. 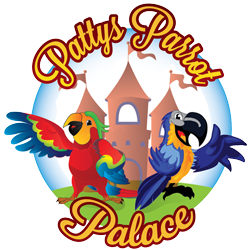 The Palace is all about love—loving the birds and loving what we do to take care of them. 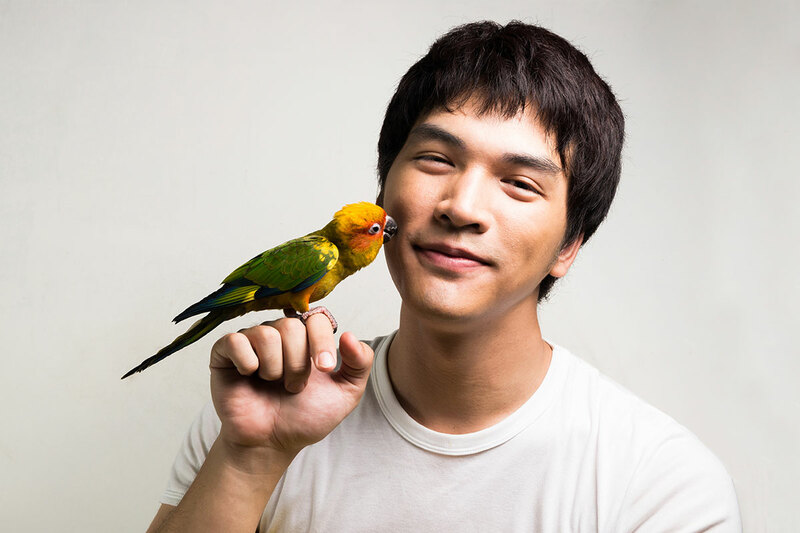 Plus, working with these feathered personalities is a lot of fun! In exchange, the rewards are indescribable feelings of seeing a precious little soul of nature overcome their past, knowing that we were the blessing that gave them a second chance at life full of love and compassion. 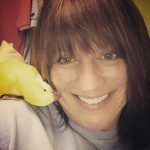 We give hope and new beginnings to birds that were dying, and we actually see the joy in their responses to us. Birds are smart in their own ways, and they know those that help them. They are also able to express their love and appreciation in ways that continually melt our hearts. 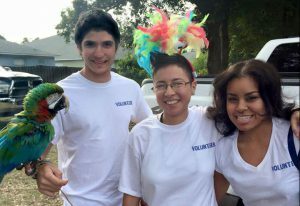 We also provide volunteer days for groups like Volunteer UCF and Days of Giving. Palace work can also count for Florida Bright Futures. Volunteers at the Palace also enjoy the fellowship of working together as a team with other like-minded souls, building strong bonds and relationships that often last for life, and all for the purpose of saving lives and restoring health and happiness to some of the most beautiful creatures on the planet. If this sounds like the type of service that you were probably born for, welcome home. 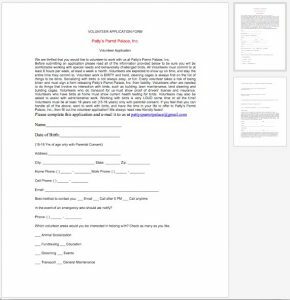 Please click and download the Volunteer Application Form, and read through it carefully. If we still haven’t scared you away, fill out your answers to the questions and return it to us to review for the openings we have. We will try to get back to you as soon as possible! 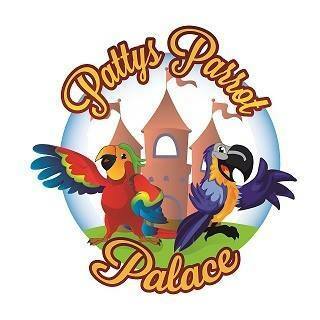 Thank you for considering a volunteer position at Patty’s Parrot Palace. 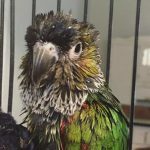 A lot of feathered friends really need your help!